Today my wife and I were driving around to some local book stores in/ around Mesa and Gilbert, AZ area after returning from military duty in California and drove by the Gilbert Hospital on Power Road. 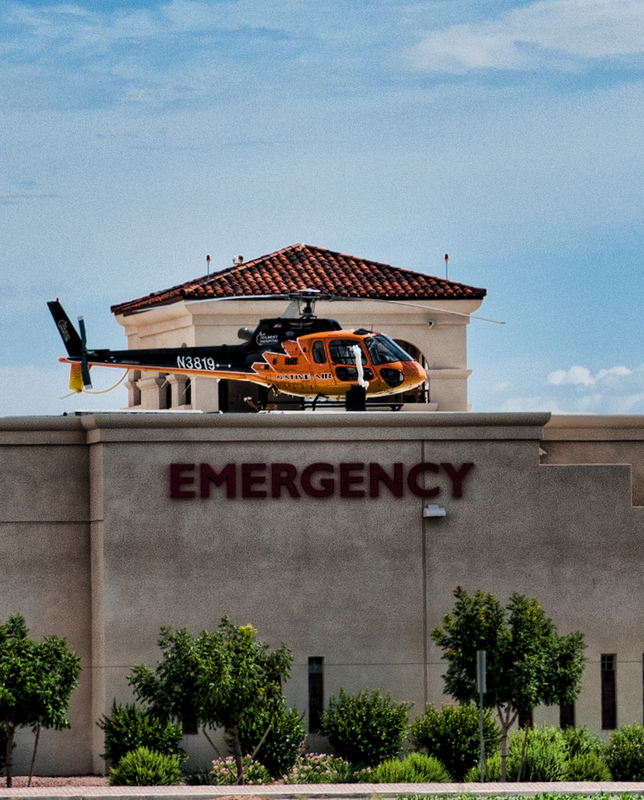 I have driven by the Gilbert Hospital numerous times over the last few years since it has been built and have seen the MedEvac helicopter perched on top of the building and wanted to take a photo of it. Well, today is the day I had my camera with me and stopped on the side of the road and took this shot. For those of you in AZ, you know its hot these days by looking at the portable AC unit with it’s hose nicely plugged into the window to keep the aircraft cool inside. A slow day for EMS/ Fire is a safe and healthy day for everyone else.